We are an active group of members who meet regularly to go paddling and develop our skills. We are a friendly group, who welcome both new and experienced paddlers to the club. We have a club committee that is elected annually at the AGM and provides a structure for the club to operate within. The club is affiliated to British Canoeing, the national governing body for paddlesport, and has achieved Club Mark status. The BC Club Mark Award demonstrates a high level of commitment to young people, along with the provision of safe, high quality activities and coaching programmes. We have a number of BC accredited coaches who can teach the skills required to achieve the various BC Star Awards. Everybody within the club gives their time freely on an unpaid voluntary basis. In the summer months from May to September, open water paddle sessions take place weekly on Thursday evenings at Porthpean Beach. These provide the opportunity for an enjoyable paddle, along with specific training objectives, and are led by our team of coaches. Members meet at the club boathouse located adjacent to the beach. We aim to be on the water by 7.00pm, and off at around 9.00pm. During the winter when it's too dark to paddle in the evening, we use a local indoor pool. Pool sessions have to be pre-booked and allow the development of some skills in a warmer environment! It is also the best place to learn to roll a kayak...looks tricky, but most people pick it up after a few sessions coaching. In addition to the weekly paddle sessions, various other paddling opportunities are arranged to take place throughout the year. See the calendar for details of events. 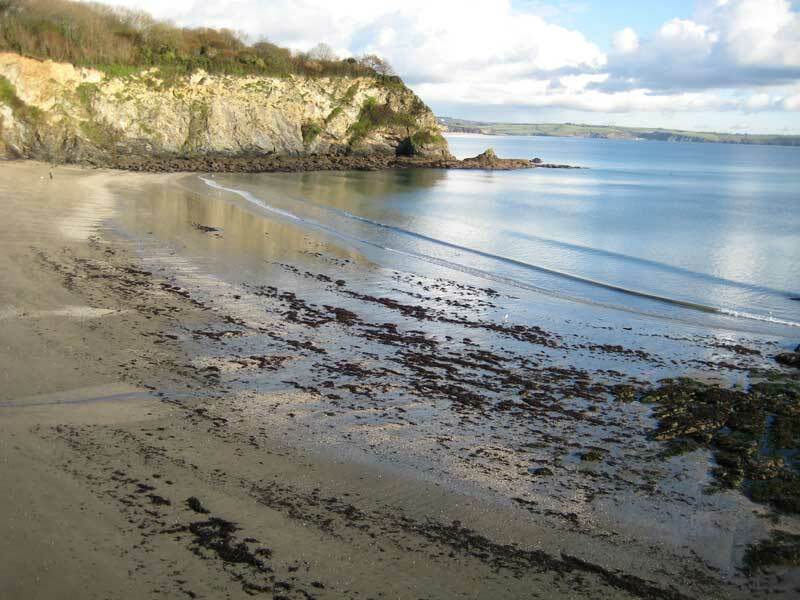 Porthpean Beach in St Austell Bay is where we paddle in the summer months. The east facing aspect is a distinct advantage, as the winds rarely come from that direction. This means that most of the time the beach provides a sheltered shoreline, with safe and easy launching for boats. The bay provides the opportunity for short trips along the coast when conditions are suitable. The club boathouse, which we lease from Porthpean Sailing Club, is located just a short distance from the beach, making it easy to transport boats to and from the water. The club has 20 kayaks, 4 sea kayaks and 6 Canadian canoes available for club activities, along with paddles and spraydecks. We have a limited amount of parking adjacent to the boathouse, in addition to the main Porthpean car park just a few metres away. Club members meet at the boathouse on Thursday evenings at 6.30pm in order to be on the water by 7.00pm at the latest.